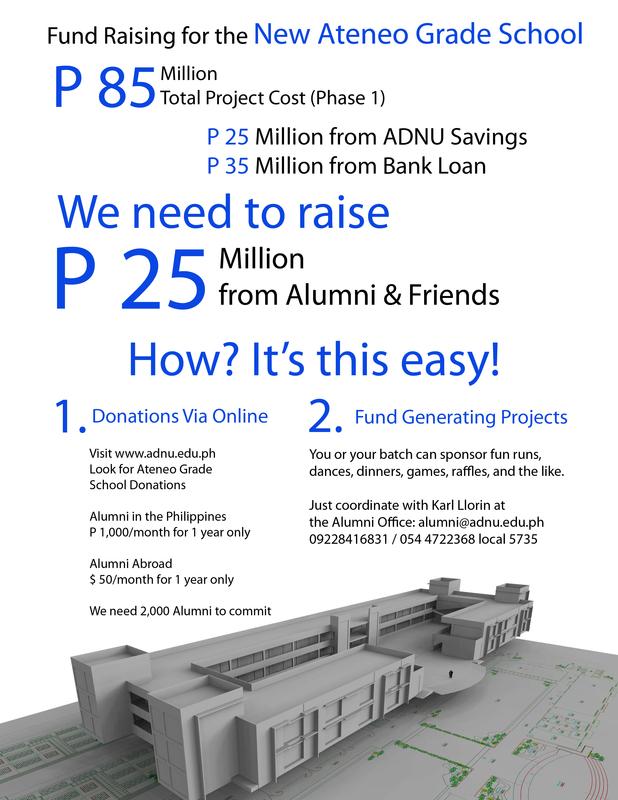 Earmark "ADNU - Grade School project"
Mauswag na Bagong Taon sa indo gabos! reflect on these as the starting point for a more comprehensive vision for our University. We acknowledge the patrimony handed on to us by our forebears in Ateneo de Naga. We are especially grateful for the legacy left behind by our past University Presidents—Fr. Raul Bonoan, Fr. Joel Tabora, and Fr. Jun Viray. Under all of them, Ateneo de Naga has experienced tremendous growth, and Fr. Jun has set Corplan 2020 in motion to guide our work. We shall strive to CONTINUE that has been good and life giving in our University. I am especially excited to meet all of you over the next few weeks and months. Our community is one of the foundations of our work, for the mission that is Ateneo de Naga has been entrusted to all of us. I shall be reaching out to our various units and partners in mission, to discover your concerns and aspirations for our University. We shall constantly CONVERSE with one another as we pursue our common mission. We press forward toward the future, to the frontiers to which we are called as a community. We beg the Lord for the strength and fortitude to face all challenges, to build on what has been established, to change what needs to be improved. We COMMIT ourselves with renewed vigor and generosity to the service of God and country, Primum Regnum Dei. We express our gratitude to Fr. Jun Viray, for the excellent leadership and selfless service he has provided Ateneo de Naga the past seven years. 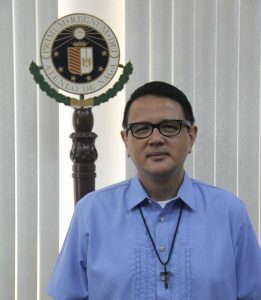 We pray for his work as Provincial Superior of the Philippine Province of the Society of Jesus. A word of thanks as well to Bro. Raymund Belleza, for serving as OIC-President during this transition period.